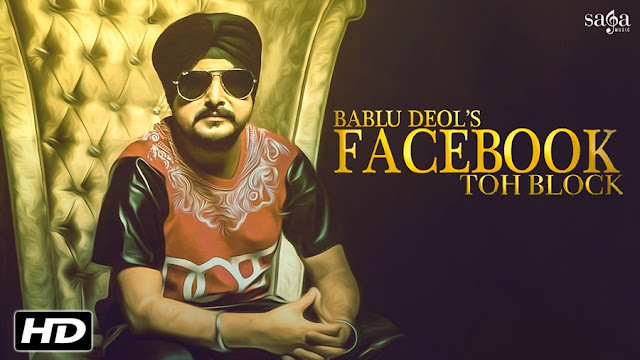 Facebook Toh Block - Bablu Deol (2016) Watch HD Punjabi Song, Read Review, View Lyrics and Music Video Ratings. Check out the full video of new Punjabi Song 2016 "Facebook Toh Block" Sung by Bablu Deol and music given by VR Bros. Subscribe Sagahits to get the best collection of popular new Punjabi songs. Click here to listen latest music. You may have seen many funny Punjabi songs based on Facebook but this one is kind of serious, it's a story of psycho trying to ruin life of his ex-girlfriend, may be it was justified. Tu tan Facebook to block karta..
Asi tainu life cho delete krange..